Dennis and Joel go into detail on how to get great TV reception with an antenna. 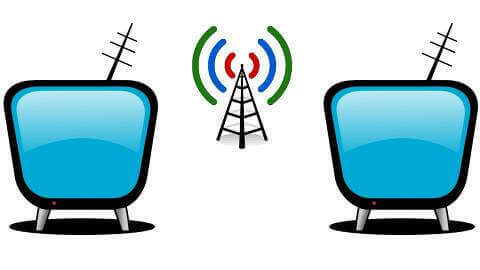 Due to compression in cable TV signals, the quality of antenna TV is much better than cable TV. The best part is, it’s completely free! TV fool is the web based tool we’ve recommended to figure out how to figure out where your TV signals are located. Well the boys received an email from a listener completely baffled by the TV Report tool. Today they are going to explain how to not only figure out the TV Fool report, but go into the intricacies of getting great OTA TV reception. Please Subscribe to The Show in iTunes, Stitcher, or your Podcast App. Please rate and review the show in iTunes. If you want to send us questions or comments please use any of the methods below. The preferred way to listen to the Grounded Reason Podcast is through iTunes. iTunes is the king of podcast distribution. If you can, please listen through the iTunes method below. If you liked the show, please give it a good review. It will really help me out as it will raise the visibility of the podcast in iTunes search. If you are on an iPhone, iPad or on a computer with iTunes installed, simply click the button below and the shows podcast listing will open in iTunes. It’s the easiest way to listen and it’s totally free. If you don’t have iTunes then Stitcher may be the way you listen to podcasts. If so then you can get to the Grounded Reason Podcast Page on Stitcher by clicking this link. If you are using a podcast client then you just need to add the shows RSS link which is “http://groundedreason.libsyn.com/rss”. If you have iTunes, it would really help the podcast rankings if you used it to listen to the podcast. However, if you do not have it you can listen to the show in your browser below. Thanks for everyone out there for reading the blog and listening. If you enjoy the show please support us by subscribing in iTunes and leaving a good review on iTunes. There are other ways to listen and they are explained below. However, using iTunes, increases the shows audience in iTunes which boosts the shows rankings in iTunes. Since iTunes has the biggest podcast directory following the steps below is the best way to grow the audience and support the show. Thanks for your support. Click this link. It will take you to the “Grounded Reason Podcast” Listing Page. From there, you can click on the stars to rate the podcast, and choose a title. The title is required for the review to be logged.